← Brandcation ~ Yes! I want to go! It’s All in the Pillow Giveaway! Last week my best bloggy friend Jill sent out a request to a bunch of us asking to help support a great cause, the Ronald McDonald House in Denver. I agreed immediately because I know how important a place like that is to families and I know that Jill has gone out of her way time and again to volunteer there. For each pillow sold from July 11th to August 15th, It’s All in the Pillow will donate $10 towards the purchase of pillows for the family rooms of seriously ill or injured children who come to Denver for care – that’s up to 20 percent! The pillows will provide families with convenience and comfort in an unfamiliar, stressful environment. So what’s It’s All in the Pillow anyway? It’s a new Colorado-based business that sells innovative pillows nationwide. Now the pillows are unique in that the look like any other throw pillow that you’d place on your bed or couch but they open up and are a lap desk that can even hold a beverage! 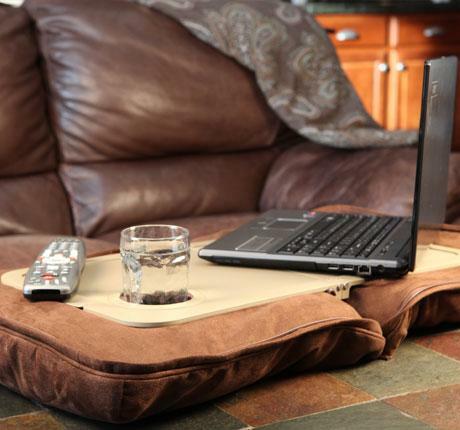 The pillows are a 16×16 size and then when they’re unzipped they’re a sturdy 23 X 11 inch multi-use surface. It’s All in the Pillow has several options to choose from so you can find one to match your decor… brown, red, black, metallic silver, safari prints, and college styles. They’re made from high-grade micro-suede fabric and are stain resistant which means even the kids can use them. This is a bonus in my house because something gets spilled no matter how careful the kids seem to try and be! Now for the fun part! One person will win either a red or brown It’s All in the Pillow of their own! FYI…. the giveaway is only open to US residents. Hey…. want 2 pillows so you have a matching set? Go enter Jessica’s giveaway too!